One of boss battles in Nier: Automata shown off. 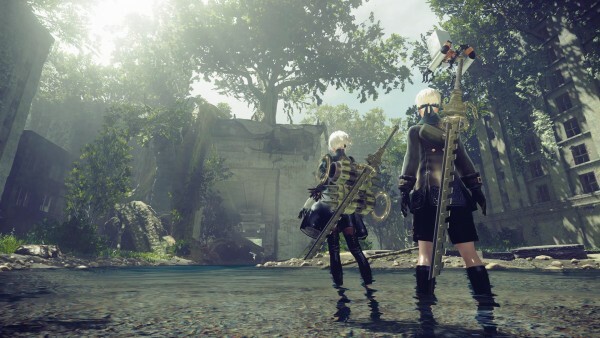 Square Enix has released another Nier: Automata video at E3 this week. Following the pretty okay trailer from earlier, we now have a look at a proper boss fight. We get to see the boss’ entrance and what seems like the full battle, though the HUD is turned off so we can’t be sure. It definitely looks different than the usual over the top fights Platinum is known for. The attack patterns are slower than you’d hope, and there’s really only a couple of mechanics involved. With that said, the boss design is definitely Platinum and the combat looks fun. Be sure to check out our E3 2016 hub for all the news, videos, screenshots, interviews and much more, live and direct for this year’s show.